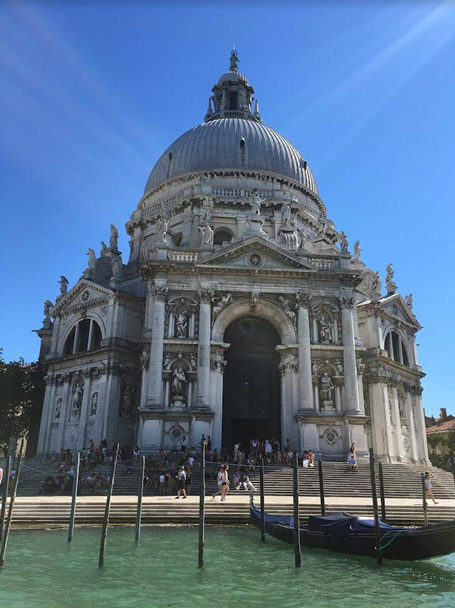 Majestic sights from our water taxi! 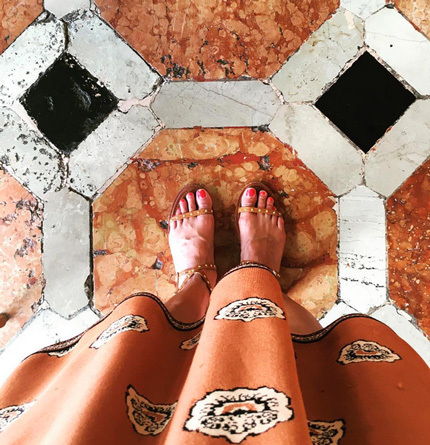 My Valentino dress blending in with the stunning Venetian tilework. A quintessential #ihavethisthingwithfloors moment! 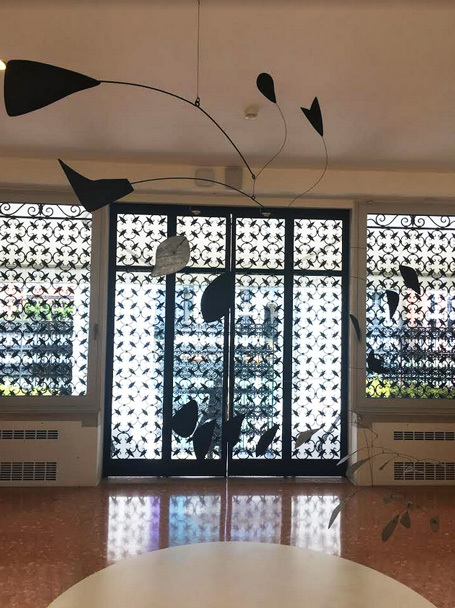 A Calder mobile hangs in the entrance of the Peggy Guggenheim Collection. There was also art by Picasso, Miro, Jackson Pollack, Kadinsky, and Cezanne. 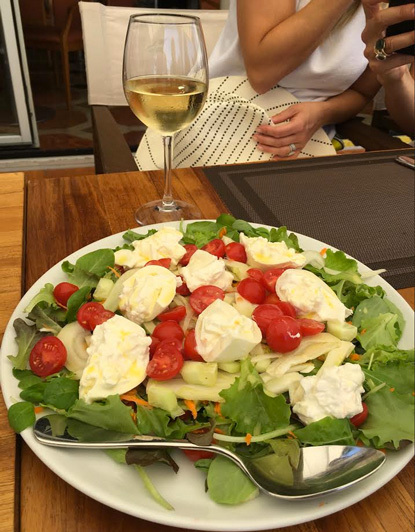 I think I ate about a pound of burrata while lunching at Compagnia della Vela Asd--the best caprese I've ever had in my life! 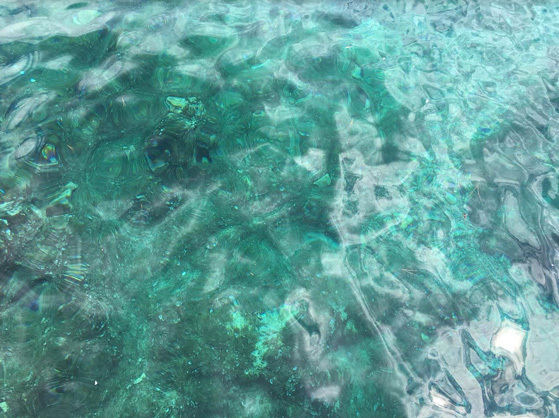 The color of the ocean looked almost like malachite--so clear and gorgeous. Dressed in Marysia on deck! 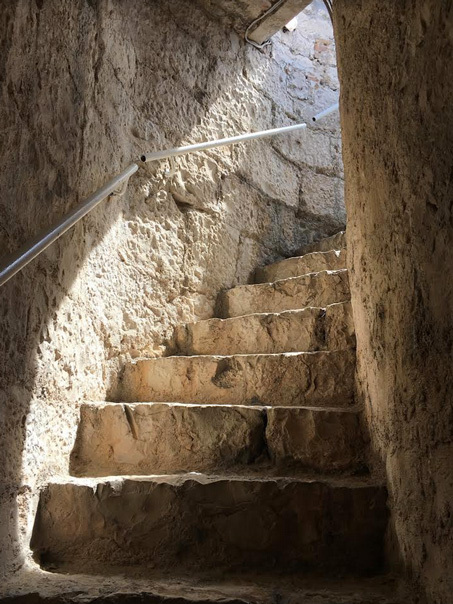 Climbing up the 14th century Karmalengo fortress in Trojir, where I was hoping to bump into Jonathan Snow. Game of Thrones has filmed scenes here. 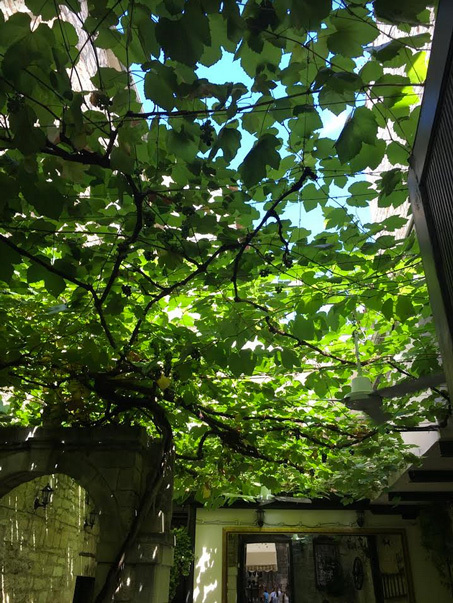 Lunching under grapevine ceilings, drinking the yummiest Croatian wine. 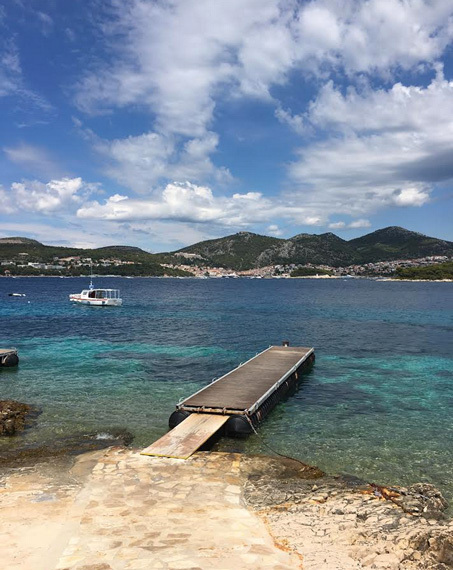 The perfect swimming spot in Hvar. 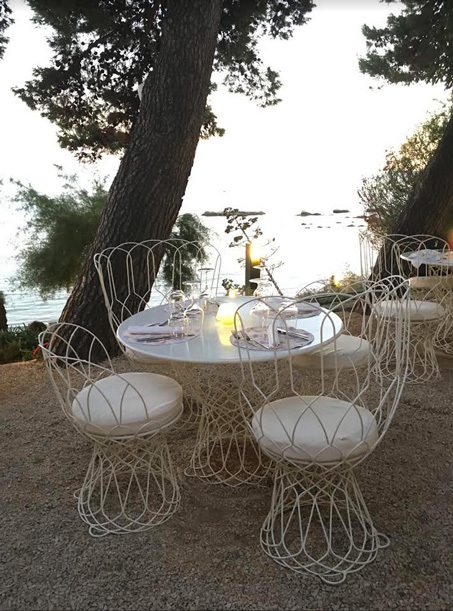 Our last seaside supper at Dvor in Split. Beautiful pics! Do you mind sharing how you stay in shape? amazing! and yes what do you do to keep those abs so flat! I should do a post on my workout routine! In short, I do Body By Simone 2 to 3 times a week, run, hike, and strength train. I try to mix it up and do something different every day. I say do what you love!